Crossfit assault bike workouts should be a part of your training for several reasons. Not only do they burn a lot of calories, but they can also be used as a useful recovery tool and are helpful when injured. The bike is also really beneficial for working on your endurance and conditioning. 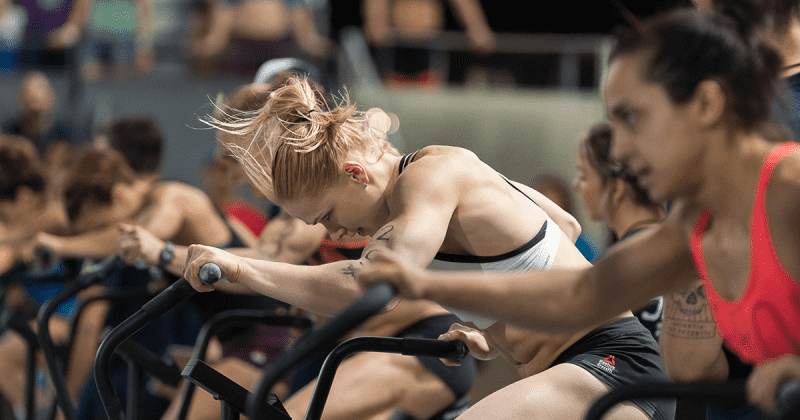 Crossfit assault bike workouts at high intensity can also boost your mindset as it teaches you how to push yourself through tough workouts when the pain gets real. To make it a little bit harder and even more fun on the bike you can always play with various rest intervals and different calories amounts.